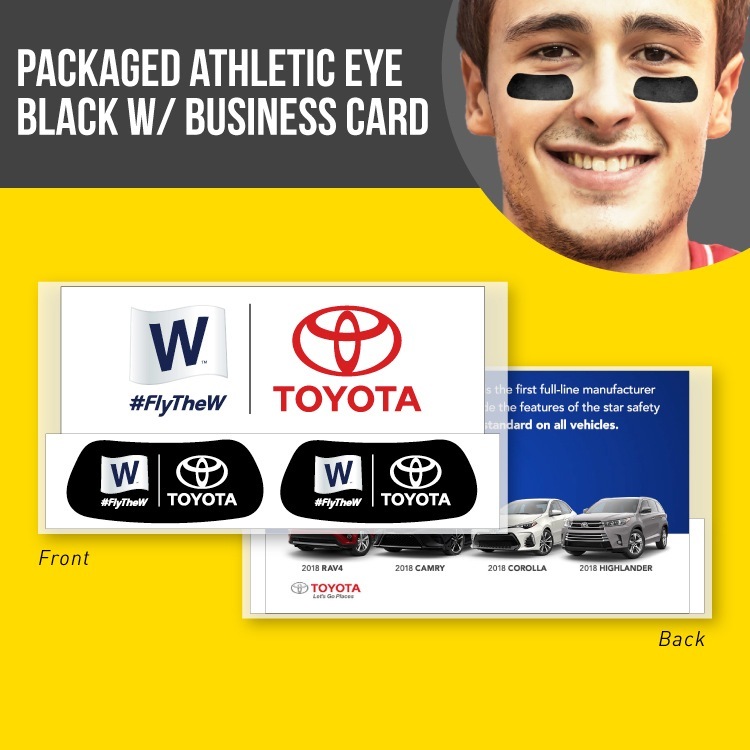 The 1-Pair WRAPPED EyeBlack Premium offers a digitally printed insert card with front and back printing and a single pair of EyeBlack. Recommended use for cards include coupons, schedules and social media contests. These packaged units have also been successful as a private label retail piece. 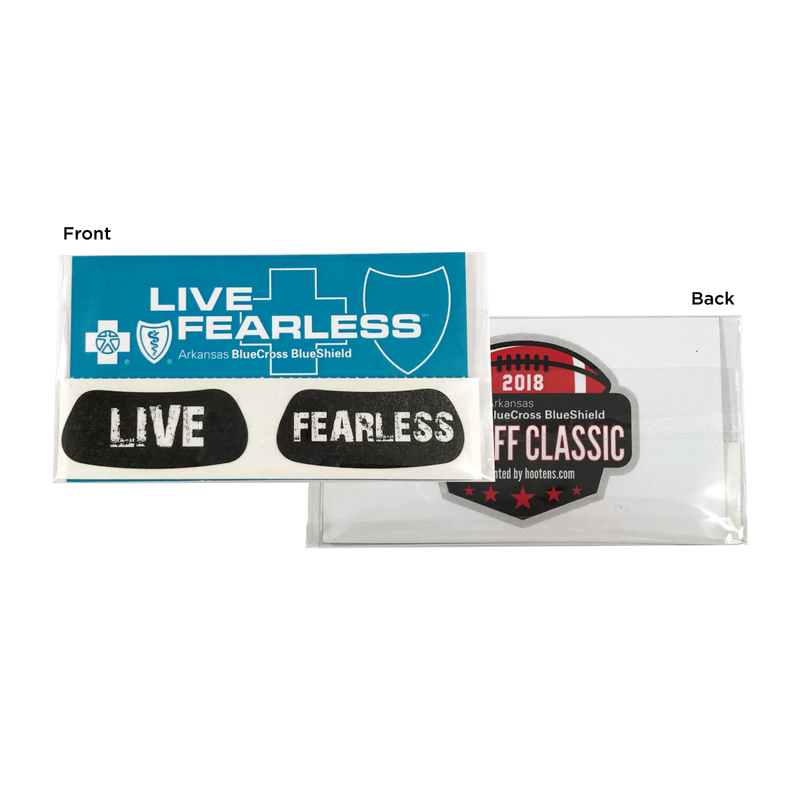 Both the insert card and EyeBlack offer full customization with a digital print. Features - 4cp - digital imprint. The full item is made in the USA.